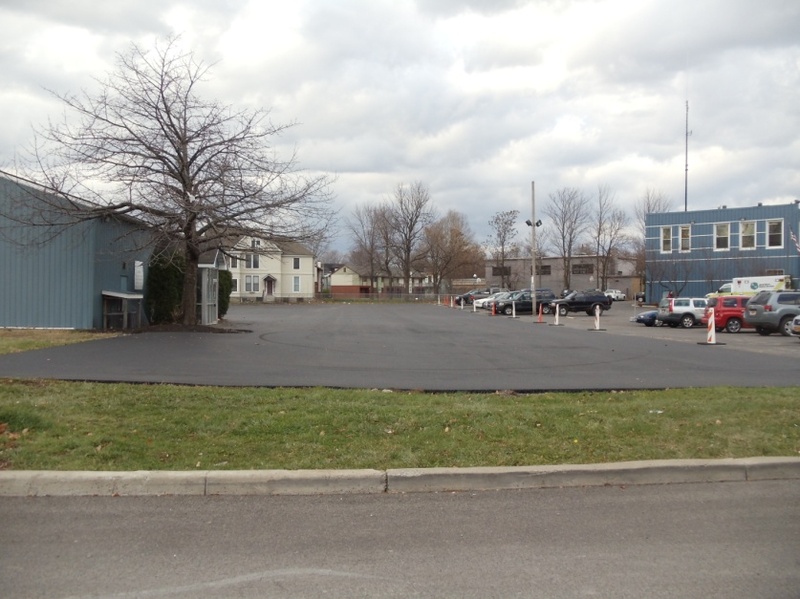 The Onondaga Commons William Harris Health Center project is located at 301 Slocum Avenue, and includes the installation of porous pavement in the Health Center parking lot. In addition to the porous pavement, a new gutter system was added to a section of the building to allow stormwater from the roof to be captured in the parking lot. 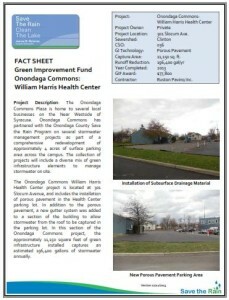 In this section of the Onondaga Commons project, the approximately 11,150 square feet of green infrastructure installed captures an estimated 196,400 gallons of stormwater annually.